I had the honor and privilege of photographing sweet baby J yesterday. Baby J’s parents had been waiting on his “newborn” session for quite awhile – wanting to give him time to heal and get healthy before attempting our session. Born with a serious heart issue requiring open heart surgery at just days old, Baby J is truly a miracle baby. Aside from his slight stature and his fainting chest scar – he looks like a typical healthy infant. 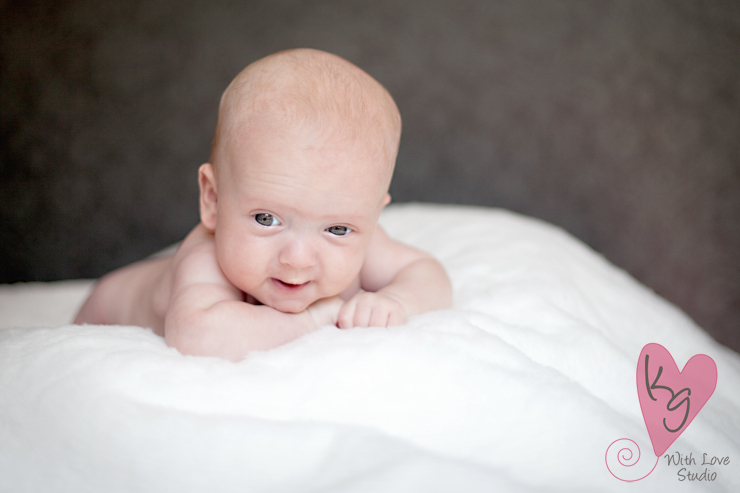 Although we were not able to get the sleepy newborn shots – he was a STAR today and we ended up with some awesome shots. I mean look at that adorable face and those beautiful eyes…it would have been a shame to hide them anyway, I think! E Family, I feel so honored to have captured these wonderful moments for you. I hope you love them! This entry was posted in Family, Newborn, Session. Bookmark the permalink.